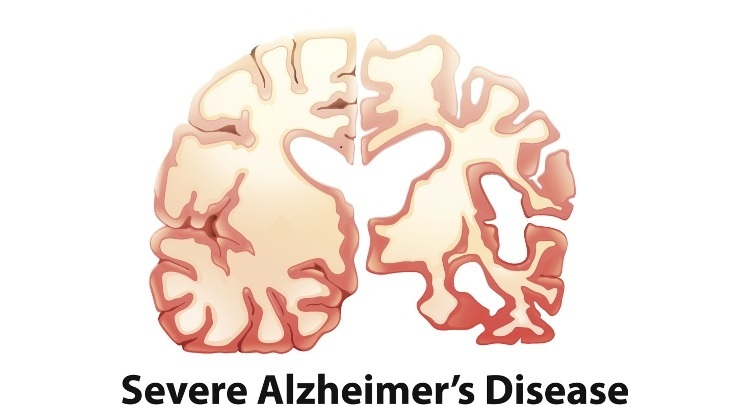 Only one of 244 Alzheimer's drugs tested from 2002 through 2012 won marketing approval. Researchers hope changing the dose will make gantenerumab work better. (Bloomberg) — Roche Holding A.G. is weighing a second test for an experimental Alzheimer’s drug that failed in an initial study, after a similar offering from Biogen Inc. showed promise in slowing the memory-robbing ailment. Roche stopped a trial of gantenerumab in December because patients weren’t benefiting more than those receiving a placebo. Four months later, Biogen said that its drug slowed the progression of the disease, supporting a long-held hypothesis that targeting a protein linked to the telltale plaques found in the brains of Alzheimer’s patients may yield a treatment. Roche may re-run its trial with a higher dose and other adjustments to the study, said Paulo Fontoura, head of neuroscience clinical development for the Basel, Switzerland-based company. Like Biogen’s medicine, gantenerumab is an antibody that targets the beta amyloid protein, suggesting that if Biogen’s drug works, so should Roche’s. There are 47.5 million people suffering from Alzheimer’s and other forms of dementia —-more than the population living with HIV/AIDS. The number is set to almost double by 2030, according to the World Health Organization, which estimates that the global cost of dementia care was $600 billion in 2010. The only drugs now available, including Eisai Co.’s Aricept, can alleviate symptoms such as declining mental function. But the benefits are short-lived and there’s no cure. Among 244 drugs tested in Alzheimer’s between 2002 and 2012, only one — Lundbeck A/S’s Ebixa — has won marketing approval, a study published last year found. Gantenerumab appeared to be the latest casualty when Roche halted its trial. But the Swiss company was buoyed after Biogen said its drug, aducanumab, lowered plaque in the brain and reduced cognitive decline by as much as 71 percent. “Everyone was excited to see that data” because it renewed confidence in targeting beta amyloid, Fontoura said. Roche is still analyzing its study to figure out why it didn’t get the same result. Biogen’s trial was small and the results need to be confirmed in larger studies that Biogen is doing, according to Fontoura. Biogen expects to begin late-stage studies of its drug this year, spokeswoman Catherine Falcetti said in an e-mailed response to questions. The Cambridge, Mass.-based company plans to test two doses, including a lower dose in patients with a genetic mutation linked to higher risk of Alzheimer’s. Those patients had the highest rates of side effects in Biogen’s initial study. Roche is also evaluating a second trial of gantenerumab it’s conducting for mild Alzheimer’s, to see if there are ways to increase the chance of success, Fontoura said. Roche gained gantenerumab through a partnership with Morphosys A.G., which stands to earn payments if the therapy meets developmental targets, and royalties on sales. Morphosys shares rose on Tuesday because Roche’s plan to revisit gantenerumab shows it’s “more confident” in the drug’s potential, Olav Zilian, an analyst at Helvea S.A. in Geneva, said in an e-mail. The stock had plunged the most in a decade when Roche stopped the trial. Morphosys gained as much as 2.6 percent and was up 1.5 percent at 64.54 euros at 1:31 p.m. in Frankfurt. Roche was down 1.2 percent amid a selloff in European stocks. Safety is an important factor in finding Alzheimer’s treatments. In Biogen’s study, more than half of patients with a genetic predisposition to the disease experienced brain swelling, and one-third stopped treatment because of it. Roche may have a trump card: a drug called crenezumab that may be safer and more effective than gantenerumab. While a study of crenezumab in patients with mild to moderate Alzheimer’s failed to meet its main goals, an analysis of those with the earliest stages of the disease found a 35 percent reduction in cognitive decline. Roche is now testing higher doses of the drug, licensed from AC Immune of Switzerland, Fontoura said.